Consultant to the world's picture framing industry.. These vinyl clings are available free of charge. Simply send me an email keith@keithhewitt.co.uk - say how many you would like and I will post them to you, wherever you are in the world. They are intended for the back window of a car or possibly your frame shop window. Retired end June 2007. Now using my vast international experience as a consultant to the world's framing industry. I have sold 150 million sheets of mount/mat boards in size 40 x 60 cm (16 x 22 ins) And since August 2007 another 16 million sheets. And most of them are all hanging on a nail on a wall. If you need any help exporting product into the picture framing industry ask me. I have sold to distributors in 82 countries. During my career, up to June 2007, I travelled 2.2 million miles ( 3.5 million kms), did 2,640 hotel nights and have eaten in 7.200 restaurants. I am an occasional contributor of framing articles to various magazines - Art + Framing Today - UK, Der Kunsthandel - Germany, PFM ( Picture Framing Magazine) USA. I am the only journalist to have had articles in all the worlds framing magazines. That includes the Australian, French, Dutch and Spanish magazines now all sadly gone. My "first" retirement 2007 - friends from 8 countries. 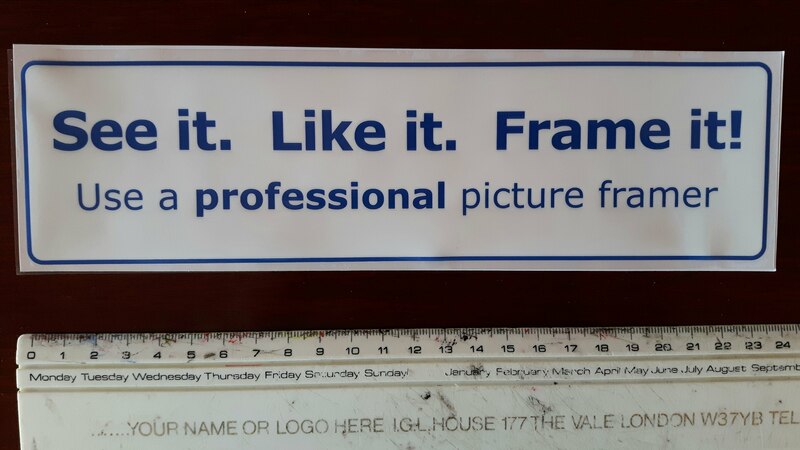 Some "celebrities" from the framing industry. Ron Morin - Craft USA, Richard Masters - MPD, Joe Pires - Fletcher Terry USA, Vic Faulkner - LION India, David Thorpe - Midas Mouldings, Johan Van Den Heulen - Euro, Chris Longridge , and Patrick de Ruyck - Euro Belgium. Some articles I have written.